What Does Little Caesars Have to Offer? Little Caesars was established in 1959 by Mike and Marion Illitch in Detroit, Michigan. Since then, Little Caesars pizza has become a part of countless celebrations throughout the US. Our Pizza! Pizza! slogan is well recognized across the country along with our World Famous Caesar Man. Your organization sells each card for .00, and your cost for the card is only .00 each. That’s a direct profit to your organization of .00 for each card sold. There is no charge for any unsold cards returned to Little Caesars representative within 30 days. Each Fundraising Card entitles the bearer to Free Crazy Combo ($3.25 in savings) with the purchase of any pizza for up to 10 visits. That’s a total savings of $32.50! half-court shot wins gift card to Little Caesars Pizza. Plus your entire basketball team receives 10 free pizzas after the game on the evening of the event! Little Caesars Football Half-Time Show with Little Caesars Mascot! Organization will select 2 child contestants to race from one end-zone to the other while having to put on shoulder pads, a jersey and cleants (all large sized) along with a helmet. Each contestant receives $25.00 in vouchers to Little Caesars. In addition, we supply 10 pizzas for your football team after the game! Delivery is not available. Your Representative must pick up the pizzas at the local Little Caesars store. Your order must be coordinated in advance. 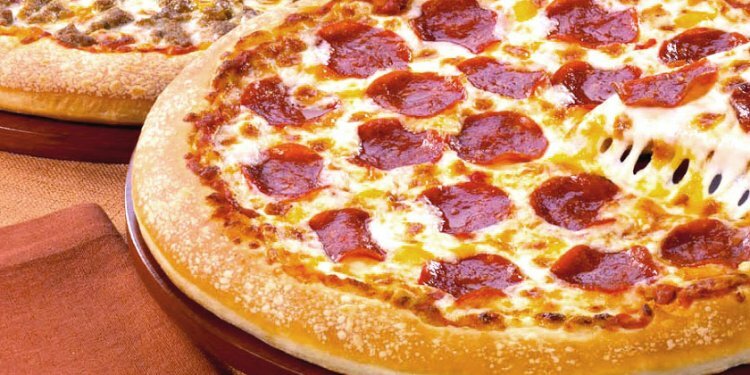 Your concession stand can purchase our Large Pepperoni, Cheese or Sausage Pizzas for only $5.99 and sell by the slice (8 slices per pizza) for a price determined by your organization. Our pizzas are well know for the great price, but what people may not know is the quality. We make our dough and sauce fresh DAILY and use only the freshest 100% real never frozen cheese.